The final day of the conference kicks off with the last Union session, Scientific research in a changing European Union (EU): where we stand and what we aim for (US5). Panelists will explore some of the challenges and potential threats to academics in the EU and how these issues can be addressed and overcome. The session will also outline some of the advantages of the EU, funding programmes that are currently provided and how the European Union can continue to develop and nurture its researchers. The three winners of last year’s Imaggeo Photo Competition. Which finalists will win this year? 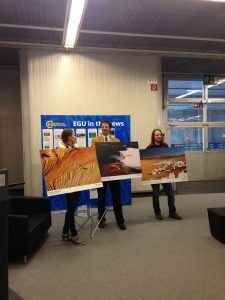 Today we also announce the results of the EGU Photo Contest! Head over to the EGU Booth at 12:15 to find out who the winners are. What have you thought of the Assembly this week? 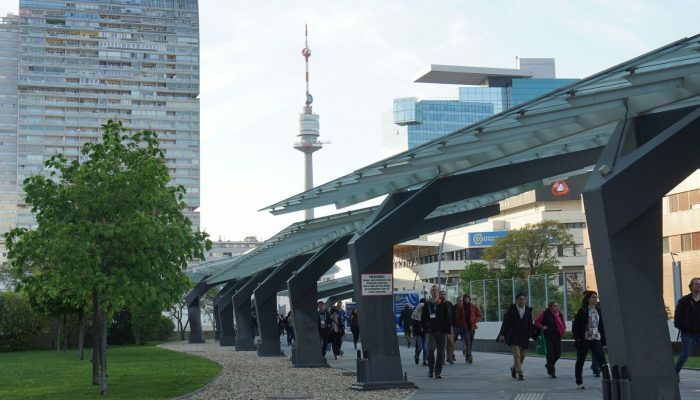 Let us know at www.egu2018.eu/feedback and help make EGU 2019 even better. We hope you’ve had a wonderful week and look forward to seeing you in 2019! Join us on this adventure in Vienna next year, 7–12 April 2019.